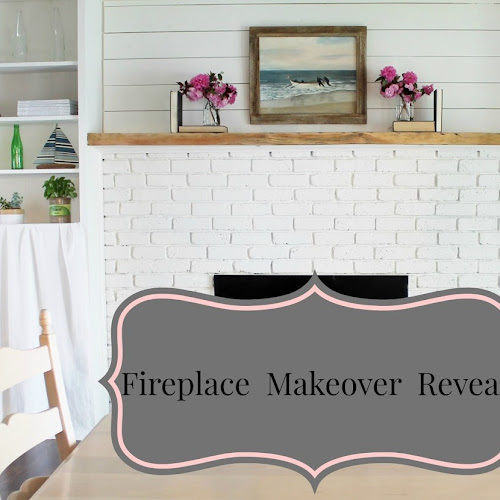 I completed my fireplace makeover! It's all finished and ready for you see! 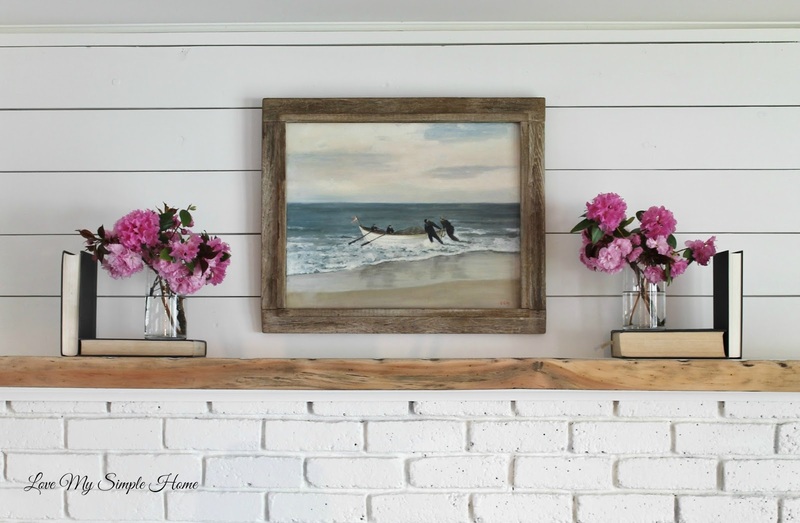 Today I'm sharing a close-up of the mantel. 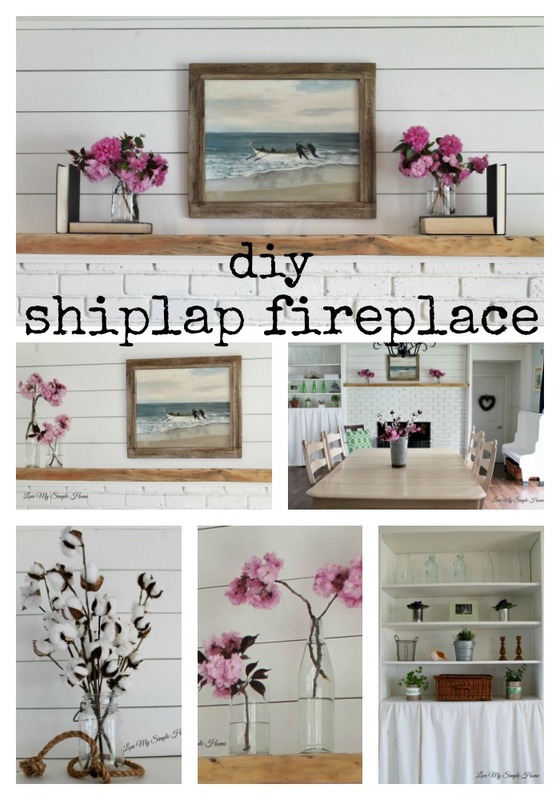 Now it is light and bright with a new planked wall and raw wood mantel. I used cotton stem branches purchased at Decor Steals to decorate the mantel. The pink flowers are from my yard. The plank wall was a DIY collaboration between my husband and me. I spent a lot of time sanding the mantel to get to the natural wood. If you ask me... Was it worth the dust and sore muscles? I say yes for sure! !